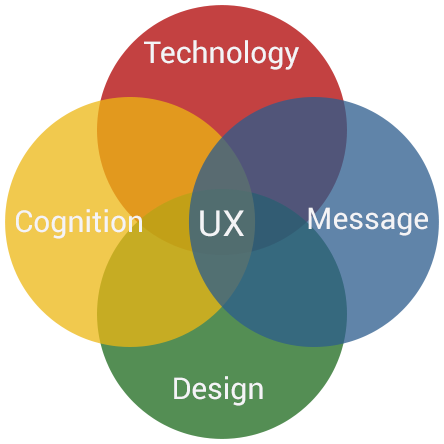 It starts and ends with user experience. Mostly it’s about people. It is the interesection of design, copy, functionality and humanity. Cognition, the mental action of acquiring knowledge through thought, experience, and the senses, is at the core of user experience. Much of our daily lives are spent separating the signal from the noise – what is meaningful and what is not. Consequently any design or technology that enhances and speeds that process will be readily adopted. The job of a website, and the people that build it, is to deliver a well-conceived message that, through a combination of design and technology, is readily absorbed and understood by the user. What kind of user experience does the target audience want? Where and how will they use the site? What are their goals, requirements and mindsets? Are we respecting their time and giving them a little fun along the way? The problem or opportunity is defined in context of the market through research or by client data mining. Every website is an opportunity to build the brand and cement your relationship with customers. Wire frames and prototypes begin the iterative process of creating exactly the right look and feel. Next, the flow of information is developed where site structure and form come to life, creating the optimal user experience. The site is tested across all platforms and browsers including mobile devices to make sure it will stand up to anything in the environment. Once launched we provide training and support as long as needed.